NIS America has revealed plans to release the Ys VIII: Lacrimosa Of DANA Day One Adventurer’s Edition, now that the action role-playing game has received release dates. 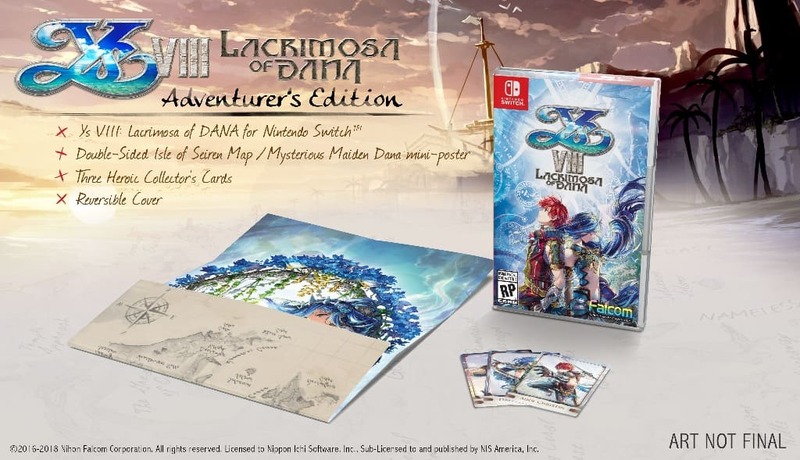 The Day One Adventurer’s Edition will contain a reversible cover, an exclusive foil pack of three character cards featuring Adol, Dana, and Dogi, and a double-sided poster that features Dana and the Map of the Isle of Seiren. Ys VIII: Lacrimosa of DANA will release in North America on June 26th, and across Europe on June 29th.